Earl Oliver Hurst was born in 1898 in New York. Despite some difficulties, he had an exceptionally successful career. His amazing artwork earned him a place in the Society of Illustrators Hall of Fame. 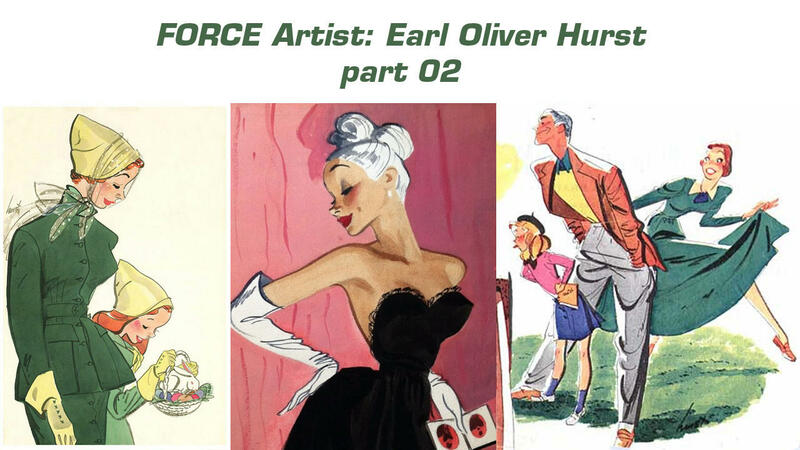 In 2005, Hermes Press published a great book of his work called The Art of Earl Oliver Hurst. 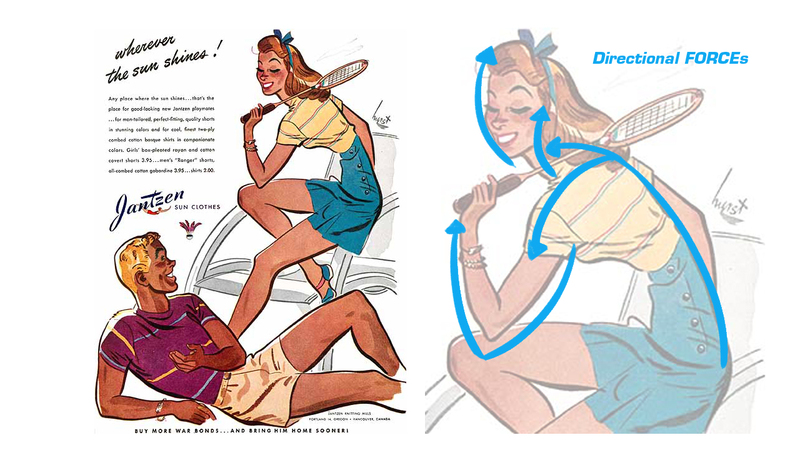 In the illustration below, watch how the girl’s back drives FORCE into her left arm, neck and head. DrawingFORCE.com Administrator and FORCE author.